When we have left the world of academia behind us – the long years of high school and then the sustenance, the spiritual nourishment that was our college English course – there develops a feeling that something is missing. 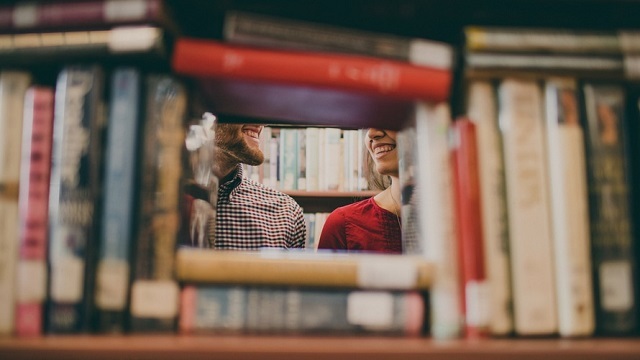 Sure, we can select from a shelf whatever book we wish to read after work every day, or most days, but what is lacking is the ability to engage in meaningful discourse on what we read. We hunger for a specifically scheduled hour, or more, of intense literary critique with like-minded people (fueled by a glass of wine or two). The Book Club is a temperamental entity and it is very important that we pick the right one (too highbrow and anxiety over what to say will start to creep in as each month comes round; too lowbrow and you’ll walk out the door muttering curses about “time” and “waste”). A Book Club needs that exact recipe of variety, the difference between its members that blends to a perfect product of literary discussion and harmonious human interaction. You know the one: the reader who always comes prepared, knows each chapter seemingly by heart (well, they’ve probably reread the book, given that they finished it within days of the last meeting), and the one who tends to suggest absolutely massive tomes for each month’s selection. Perhaps they don’t sleep, maybe they’re not human, but without the Speed Reader many a Book Club would be filled with underachievement. The antithesis of the Speed Reader, perhaps it’s an innate need to have a scapegoat, but a Slacker is always a necessity in a Book Club. They rarely manage to finish the text, sometimes they don’t even show up, and yet the wine gets drunk and the nibbles are gone before the meeting is halfway through. We may outwardly seem irritated with their behavior, but inwardly we’re overjoyed that we’re not the worst member. You may consider yourself bookish, you might very well be the most well-read in your social circle, but join a Book Club and there will always be that one person who never quite qualified as an English Professor (or, upon occasion, actually is an English Professor). For the former, this is their time to make up for it. So, sit back and graciously accept their printed sheets full of discussion topics and bibliographies of academic essays and other further reading. Sip your wine and contemplate how good this all is for your grey matter. Not to be confused with the English Professor, indeed these are better compared with the Liar/Faker (see below). The entire purpose of attending a Book Club for the Snob is to boast about what they have read, or what they like others to think they’ve read – whether it be to the group or to friends outside of the Book Club. They probably haven’t finished the book under discussion or, if they have, didn’t really understand it, but they like to look as if their interpretation of the book far surpasses the intellectual standing of the English Professor. To sit in a meeting inclusive of a Snob makes us feel truly like wonderful human beings. Everyone knows they didn’t read the book. Why do they even come? Everything they contribute to the discussion obviously came from either Wikipedia or SparkNotes. How can that be enjoyable? No-one knows, but a successful Book Club always has a Liar/Faker. Similarly with the Snob, our bibliophilic selves need a self-esteem boost: when we listen to the rehashed literary criticism that the Liar/Faker spouts, we can only smirk into our Chardonnay and nod. Opposite to the Snob, whose only professed love is “high literature,” the Genre Fiend is more niche, i.e. only wants to read what they themselves are obsessed with. These are usually the people who are avid fans of Sci-Fi, or YA Fantasy, or obscure Zombie-Alien Romances. They’re fun to have around, but can become whiny upon occasion if the Book Club is reading too many Classics. These are the people that keep the reading real. Good for them. Ah, yes, the… perplexing Cinephile. Many a Book Club has to think about what they recommend for the next month when the Cinephile is a member, as these people won’t deign to read a book that hasn’t been adapted (either on film or onto television) or is going to be. Every comment they have is relevant only to the movie/small screen version. They broaden our horizons, pull us away from the original, and lend a different perspective, but… Shouldn’t they really belong to a Film Club? There is always one: no matter which book you’re all reading, the Crier will find it overwhelmingly emotional and have an ever-present tissue in their hand during discussions to mop at tears of recollection for the scene that broke their heart. Maybe it’s their therapy to attend, and they do open our eyes to the (subtlest of) subtleties of emotion in literature, but never, ever pick a book in which an animal dies. They just couldn’t cope. Where would a Book Club be without its host (quite literally)? Of course, we all take turns (unless you’re with a Book Club run by a bookseller), but there is only one of you who is the Perfect Host – and they will make sure you all know it. This is a serious competition to them. The food and beverages will have been chosen to suit the book being read and the background music is a playlist painstakingly compiled to suit the mood of each and every chapter. Just let them win. The enigma in the corner, the one who never speaks: the Watcher. Their hands grasp the book under discussion, their eyes follow each and every speaker with keen interest, but they never proffer their own opinions. Oftentimes, they don’t even partake of drink or sustenance. Why do they attend? No-one knows. What are they thinking? Again, no-one knows. You all just wait, chattering on, patiently hoping to hear utter genius from their mouth, one day. Are there any other types of readers that make for the perfect Book Club in your opinion?